News - ParaNorthern - YOUR Stories of strange, unexplained and scary events. 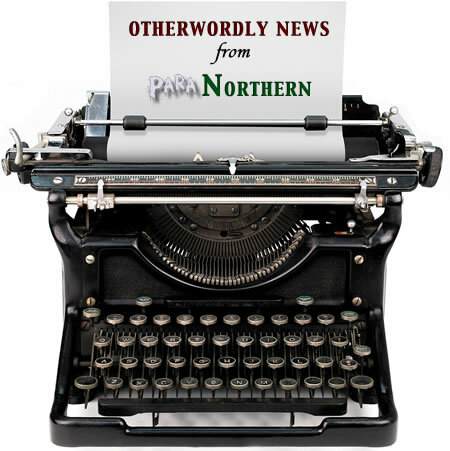 Our paranormal news section covers stories from around the world with a range of topics from ghosts, spirits and hauntings, bigfoot and other cryptids, unidentified objects and other news from the world of the unexplained. We always work to provide a balanced viewpoint of the content we share. If you've ever experienced a bone chilling, hair-standing-on-end kind of feeling, then the answer is likely yes. You just don't know you've heard it. According to Wikipedia "Infrasound, sometimes referred to as low-frequency sound, is sound that is lower in frequency than 20 Hz (Hertz) or cycles per second, the "normal" limit of human hearing. Hearing becomes gradually less sensitive as frequency decreases, so for humans to perceive infrasound, the sound pressure must be sufficiently high. The ear is the primary organ for sensing infrasound, but at higher intensities it is possible to feel infrasound vibrations in various parts of the body." ParaNorthern.ca is northern Ontario’s premier paranormal focussed website. The website was launched in October of 2012, and has had over 2,000 individuals visit the website since then. To celebrate it’s first anniversary, and to reach a wider audience, it’s creators Mitch Ross and Tracey Sanders of Sudbury, Ontario marketing firm ORP.ca decided to update the site and make it desktop, tablet and mobile phone friendly. Have you ever noticed how many more "Bigfoot" sightings come up during Fall/Spring? Maybe it's just because there is less foliage at those times of year. With that being said, there has being a new sighting of Bigfoot, this time in Pennsylvania. The report from Huffington Post includes a statement from another person that refutes the original claim. John Stoneman who claimed seeing the "Bigfoot" said that while driving through the Kinzua State Park, he spotted not one but two of these famously elusive creatures. 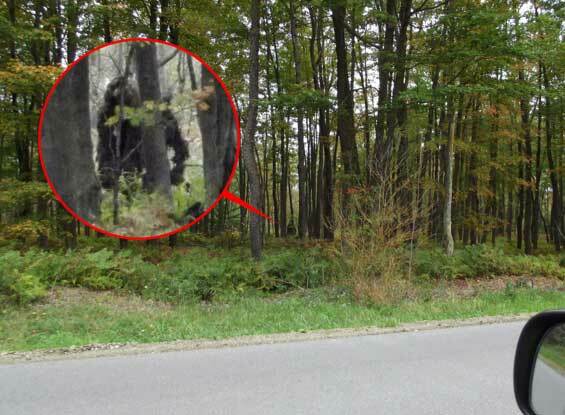 Read more: Bigfoot HOAX In Pennsylvania? "The magnetic aura surrounding Sudbury, for both the living as well as the once-alive, is the backdrop for tales of mystery, wonder, and outright horror. "I tried to leave" is a common theme for those from the Sudbury region. People often vow to move away, but something about the Nickel City keeps luring them back. Whether it’s the taste of fresh air – or just the sulphur in the air – it’s hard to move beyond the black rocks, endless lakes, and great openness without longing to come home. Some are so attached to the northern community that they choose to stick around, even when their physical life is over. After all, if the living can’t leave the place behind, why should the dead? Spooky Sudbury explores the magnetic aura surrounding the city, for the living as well as the once-alive, in these tales of the supernatural."